1. Saturn represents limitation, restrictions and our boundaries in life. 2. Saturn is the Lord of Justice and its various time periods (Sade Sati, Dhaiya, Saturn Return, Mahadasha, Antardasha) throws lots of challenges towards us, so that Saturn can do Justice in the end by looking at how we dealt with those challenges. 3. Saturn represents law and order, discipline, structure and stability. 4. Saturn represents maturity and old age people. 5. 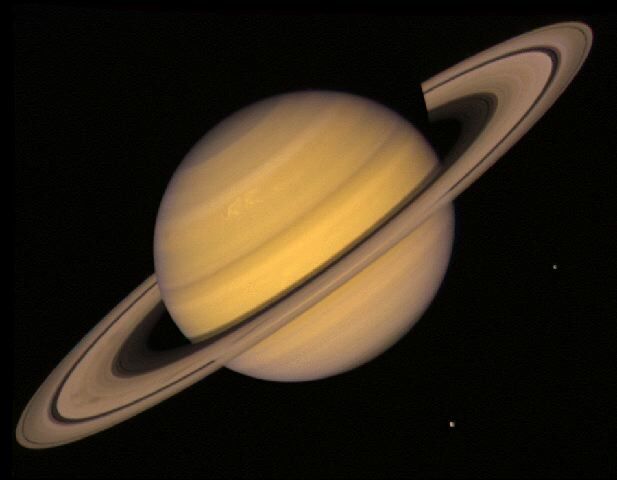 Saturn represents delay, for the simple reason that it is the slowest moving planet. But important thing is that "Saturn only delays, it never denies". 6. Saturn represents diseases and taking care of unhealthy people. 7. Saturn is first of the Karmic Backlog planets, the other two being Rahu and Ketu. It means that in whichever house Saturn is placed in horoscope, we didn't treat things related with that house properly in our last life and in this life Saturn wants us to put best effort to achieve those things, so that we realise true value of those things in this life. 8. Saturn is our life lessons, wherever (in whichever house) Saturn is placed, we have our lessons of life there (with things related with that house). 9. Saturn represents laziness and hard-work both. Now, how is this possible?? So, 1st of all, it makes us lazy and when we fail in life because of laziness, we introspect and end-up in realizing the value of hard-work and that's how we become hard-working. 10. Saturn represents repetitive jobs. It means going at your workplace daily and doing the same work repeatedly for whole life. Like in a factory, someone has a job of pouring oil inside machines for whole day. That guy will do the same job whole day. Nature - Nature of Saturn is malefic in short vision, but if we see our long term or even life long benefits, it is the most benefic planet even more than Jupiter because whatever Saturn gives or takes away in life, it does so while giving a life-lesson for future. Maturity Age - Maturity age of Saturn in 36 years.